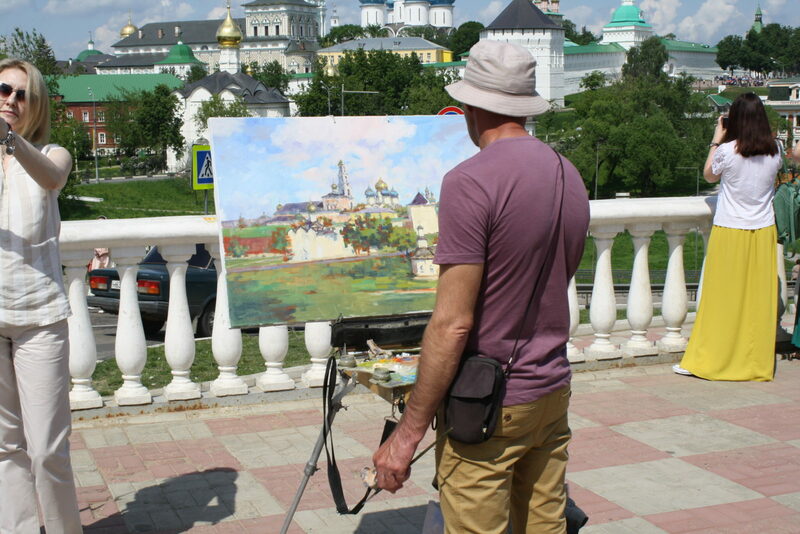 Sergiev Posad is an ideal destination. The town has provided 7 centuries of intense life to its citizens. The town grew around one of the largest and most famous Russian monasteries. Troitse-Sergieva (Trinity) Lavra was established by St. Sergius of Radonezh in the 15th century. Nowadays it remains the main tourist attraction and is situated in the centre of the city. In 1993 it was put on the UNESCO World Cultural Heritage List. 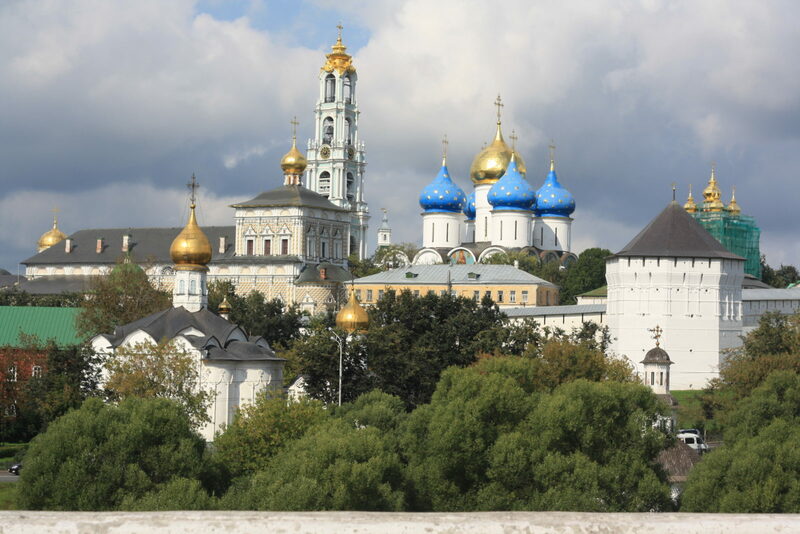 Sergiev Posad is one of the Golden Ring cities. 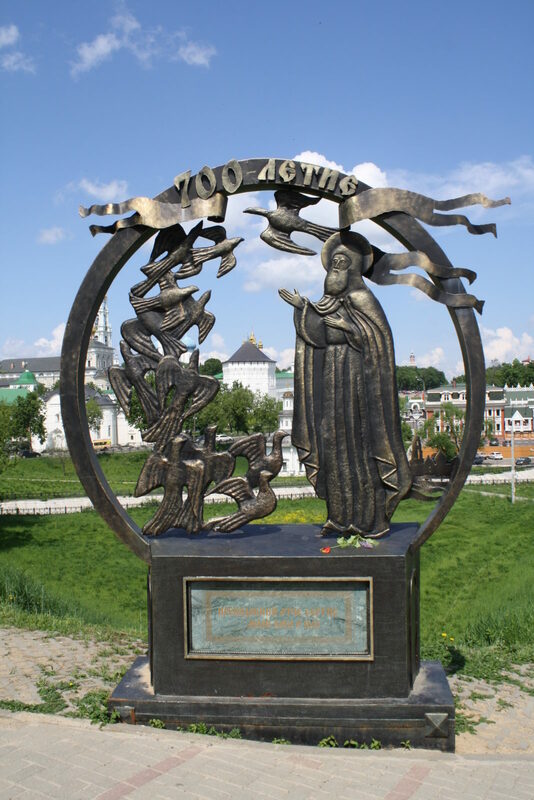 Which means it played a significant role in the formation of the Russian Orthodox Church and was one of the important spiritual centers in Old Russia. Both Dmitry Donskoi and Ivan the Terrible stood atop the walls of the monastery. Lavra also played a role of a fortress during the times of Polish-Lithuanian intervention protecting Moscow. The construction of the rail way between Moscow and Yaroslavl gave the town extra importance. Sergiev Posad, the “Toy Capital of Russia” has been renowned for its talented artisans for 300 years. As the name implies the most popular craft was toy making. Initially wooden they evolved to being made of different materials. Nowadays the symbol of the town is Matreshka- or “Russian doll.” One of the first Russian Matreshka’s, over 100 years old, wa made here, in Sergiev Posad.